Papers accepted by the SADJ will generally contain work of a dental research and development nature. On receipt from Authors, submissions would be in the form of either an original research report, literature review or case report (in some instances a series of reports). The paper should make a new contribution by dental research and development to basic or applied knowledge. At the other end of the scale, papers that are trivial in content, i.e. that merely replicate known results and conclusions, or are obvious or inconsequential, should not be accepted. Papers that merely record data without deriving useful conclusions are, in general, also unacceptable. Reporting negative results or work that proved to be unsuccessful is also generally not acceptable unless these represent a surprising or unusual departure from accepted concepts. However, controversial results and conclusions if well-founded are of great importance in publications and should be accepted. The referees must carefully watch for attempts to use the publication merely as a means of advertising known products or services. In such an instance, and in order to be considered, the paper should represent a new contribution to technology within dentistry. The precision and accuracy of results should be clearly indicated and discussed in terms of standard statistical methods. There should be a clear indication of the original work of the author as compared with that of others and appropriate references should be given to the work of others. The origin of samples and the text to which they are adequately representative should be indicated. The review does make a contribution worthy of publication. And that the case report (or series of case reports) has been adequately documented. The Association has publishing standards which are required for papers appearing in the Journal. The extent to which these are adhered is of importance as outlined in the SADJ Author Guidelines. As the Association is prepared to undertake a reasonable amount of grammatical editorial work, spelling and grammatical/idiomatic errors should not be heavily penalized. The amount of editorial work that will be undertaken depends on the “value” of the paper. If the paper would be of great interest to dental professionals then it is worthwhile for the Association to attend to the grammar/English. Concise presentation and avoidance of long-winded and repetitive writing. Unambiguous phraseology and clarity of concepts. Properly presented diagrams and tables with appropriate headings, designation of axes and legibility of data. An abstract representing a meaningful summary of the paper (200 words maximum). Referees are requested to make available their evaluations and comments on the attached sheet which will then be sent to the author to assist with the final preparation of the paper. It is a firm principle that referees will remain unknown to the author, but they should be prepared to discuss their comments with the representatives of the Editorial Board should they be requested to do so. In the very unusual situation where a referee wishes to discuss a paper directly with the author, it would be appreciated if the Editorial team were notified as the Editor would need to first approve such decisions. Refereeing can be an onerous and demanding task. 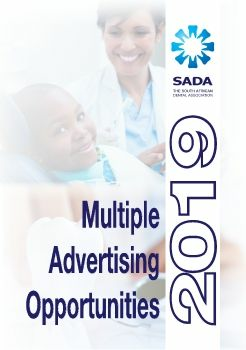 The co-operation and input of colleagues who are prepared to devote their time and expertise is deeply appreciated by the South African Dental Association.